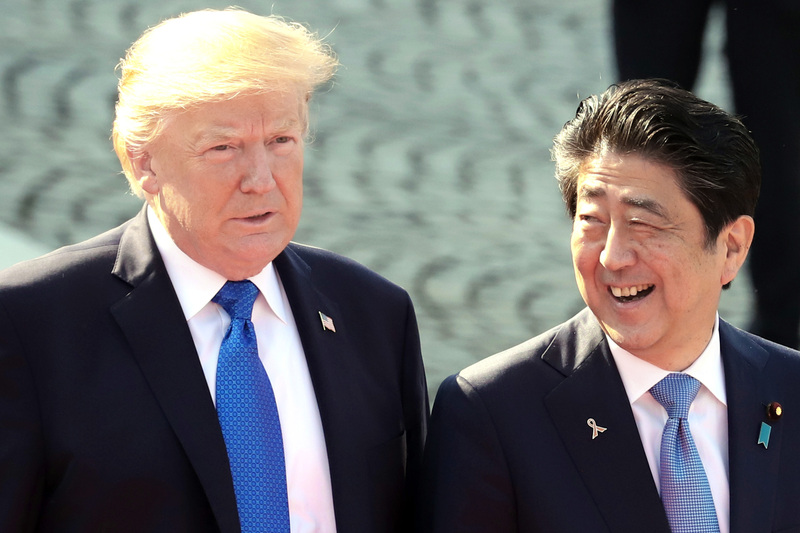 After 16 months of warm words, lavish gifts and rounds of golf, Prime Minister Shinzo Abe may be discovering the limits of personal rapport with U.S. President Donald Trump. The prime minister is planning a hastily arranged trip to Washington next month after two surprise announcements by the U.S. president: That he’d meet their mutual adversary Kim Jong Un, and levy tariffs on Japanese steel and aluminum. The moves could shake the pillars of trade and security that underpin a 70-year-old alliance Abe was counting on to buttress against a rising China. Abe’s U.S. trip bears parallels with his swift Trump Tower visit days after the 2016 U.S. election, presenting Trump with a $3,800 golf club and hailing him as a “very successful businessman with extraordinary talents.” The efforts appeared successful, as Trump reaffirmed the security alliance and shelved campaign threats to curb Japanese car imports, even as he later withdrew from a Pacific trade pact championed by Abe. Fumio Kishida, Abe’s former foreign minister, said in a Wednesday interview in Hong Kong that the two leaders established a mutual trust. Other foreign leaders, including France’s President Emmanuel Macron and China’s President Xi Jinping, attempted similar charm offensives, with varied results. Now, Abe — like others — is learning how far such bonds can stretch, as the unpopular Trump reshuffles his administration and reverts to a more disruptive approach ahead of November congressional elections. Trump’s decision to open talks with North Korea’s leader, without a clear pledge to give up the missiles that Kim has test-fired near Japan, has undercut the allies’ “maximum pressure” strategy against Pyongyang. Meanwhile, Abe’s pleas for relief from the metals tariffs have so far gone unheeded. U.S. Trade Representative Robert Lighthizer didn’t mention Japan in Senate testimony Thursday while listing the parties getting tariff exemptions: Argentina, Australia, Brazil, Canada, Mexico, South Korea and the European Union. The Japanese and U.S. economies are tightly intertwined. Japan enjoyed a $69 billion trade surplus last year, but is also America’s largest foreign source of jobs. The U.S. is its fifth-biggest steel-buyer. The blows come at a sensitive time for Abe, who has seen his prospects of becoming Japan’s longest-serving prime minister dented amid questions over the sale of discounted land to a school associated with his wife. After fresh revelations this week, his poll numbers plunged to record lows in two surveys. Abe quickly recalibrated on North Korea, supporting Trump’s meeting with Kim and, according to some reports, seeking one of his own. The officially pacifist Japan can’t afford to weaken its U.S. alliance as China — a historical rival with whom it spars over territory — challenges American dominance in the Pacific. 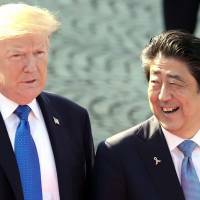 Trump’s sudden turns on trade and North Korea have been as dizzying to Abe as they have been to his Republican Party and to markets. Just in November, Abe warmly received Trump in Japan, giving the U.S. leader a white cap with “Donald & Shinzo make alliance even greater” embroidered in gold.